The Ritz Ybor June line-up!! Hey Tampa Bay!! Jessica back with some Tampa Bay entertainment updates I promised last month ~ The Ritz Ybor, Tampa&apos;s coolest concert and show venue located in Ybor City, has announced their June line-up... so check it out! The Los Van Van concert will be starting off the month on Thursday, June 3 at 7:00PM. Next, the Reverend Horton Heat & Cracker concert with the Legendary Shack Shakers will be taking the stage on Saturday, June 5 (doors open at 6:00, while the show starts at 8:00PM). 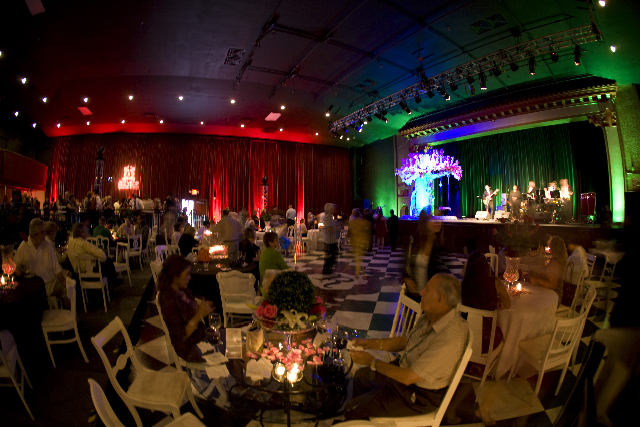 And ending the month, The RITZ Ybor will be celebrating its 2nd Birthday Party on Friday, June 25 from 6:00-8:00PM (a private event). Tickets for all shows are available for purchase online at www.theritzybor.com or at the Ticket Box Office from 1:00-6:00PM every Wednesday through Saturday and on the day of the event. Hope to see you in Ybor City this month for some great Tampa Bay nightlife!